The Tata Tiago had been my daily ride ever since I moved to Pune at the new ZigWheels office. Not only did it help in weaving past Pune’s unpredictable traffic effortlessly, it was also a reliable companion for the odd weekend trip back home to Mumbai. As we bid the handsome hatchback from Tata goodbye, here’s a look back at all that was good and bad about the Tiago. The Tiago was a good car for both the highways and the city. Its petite dimensions meant you could squeeze past the hectic traffic rather easily. The petrol-like light clutch was a boon in the city and on the highway alike, but I wish it had more grunt and taller gear ratios as the current configuration requires frequent downshifts, especially when it comes to quick overtakes. And while you’re at it, the gruff noise from the motor makes its way into the cabin. It’s no music to the ears and had it not been for the amazing four-speaker system, it could have been a bother. The suspension also takes most potholes in its stride without unsettling the occupants. The arrival of monsoons didn’t change the story much either, as far as the suspension setup is concerned. However, the headlights could have been brighter, especially in the heavy rains. While the car packs in a lot of practicality, a bit more generous boot would have been welcome. That said, the boot is set low and opens up wide to gobble your luggage. Also, with heavy luggage, while moving my belongings from Pune, ride quality didn’t show any adverse effects. As far as practicality is concerned, the Tiago has eight open spaces for your knick-knacks - four on the doors and four in the centre console. Although these are easily accessible, some might come in the way of your driving. The bottle holder, behind the gear lever, will certainly be a grouse with a tall bottle in place. Accessibility isn’t high throughout though. The power window buttons, for instance, often found me trying to close the rear windows instead of the ones at front. My journey with the car, like the car itself, has been short but sweet. 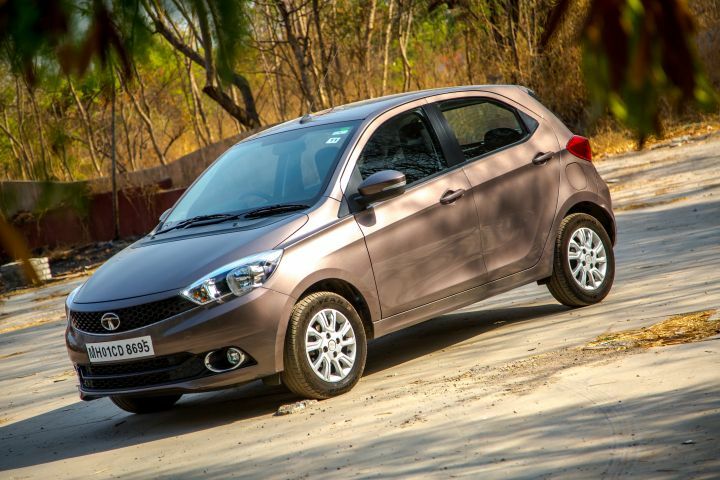 While the Tiago didn’t supersede expectations, it was certainly very practical and almost perfect for the city. Not to mention, with 18.7kmpl mileage in the city and 19.5kmpl on the highway despite the car doing triple digit speeds constantly, fuel efficiency is impressive. While I enjoyed the Tiago, it’s time for its elder sibling, the Tata Tigor, to enter the ZigWheels garage. All said and done, the Tata Tiago is a great option if you’re looking for a frugal and easy to drive hatchback for your city runs and the occasional weekend drives on the open highway.